Insero & Co. CPAs (Insero) and Ciaschi, Dietershagen, Little, Mickelson & Company, LLP (CDLM) have merged as of January 1, 2016. The combined firm will operate under the Insero & Co. name, and employ more than 125 across five locations in Rochester, Ithaca, Corning, Cortland, and Watkins Glen. 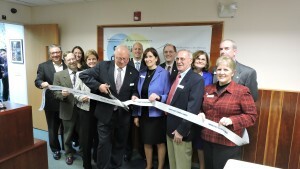 They celebrated their merger with a ribbon cutting and open house on January 14th.